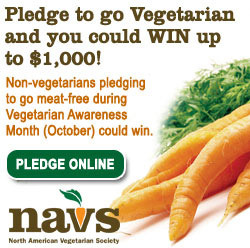 Sample pledge ad. See all our ads below. 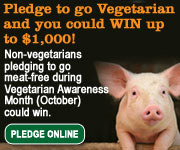 Use our Vegetarian Pledge Ads on your Website and Change the World! 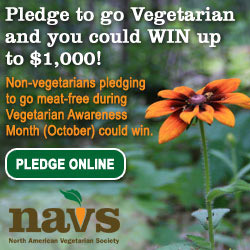 Use our vegetarian pledge ads to encourage your non-vegetarian audience to try meat-free eating this October…. And they could win up to $1000! 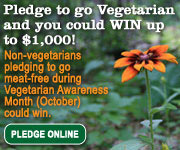 Vegetarian diets have proven health benefits, save animals’ lives and help to preserve the Earth. 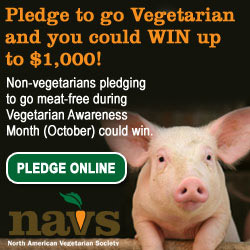 Let’s work together to make a difference.